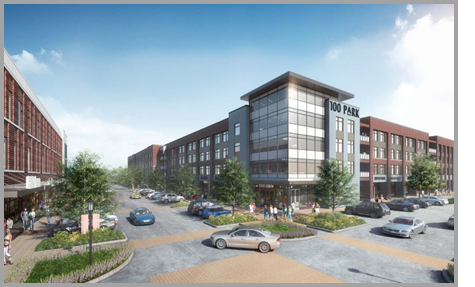 ​​​ COLLEGE STATION – Midway’s 60-acre mixed-use development Century Square will celebrate the ribbon cutting Novemeber 17, 2017, of another key component of its upscale live, work, play and stay environment—100 Park, a 21 and older luxury apartment home community. Setting the standard for contemporary living, the 249-unit, four-story 100 Park offers studio, one- and two-bedroom floorplans. State-of-the-art amenities include a fitness facility with an adjacent yoga studio a social lounge and business center with complimentary coffee and Wi-Fi, a community pool area with outdoor dining and grills, and a pet-friendly common green gathering area. ​Want more background info? See NewsTalk Texas​ for more stories!